Get soaked for a good cause! 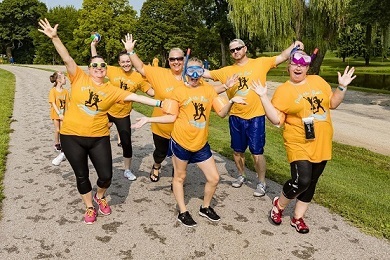 Join in the fun at this family-friendly, water-themed run at Ellis Park. There will be a human car wash, rain tunnel, blaster bog, fire truck hose, inflatables with foam, a bucket toss, and a giant slip-n-slide! What more could you want? The race will start in waves every 10 minutes. The first wave starts at 9am and the last wave starts at 10:50. You will be asked which wave you want to participate in during registration. This run/walk will NOT be timed.